So, we’ve seen the bright (and weird) future of consumer technology at CES 2019. On the face of it, I’m pretty impressed! 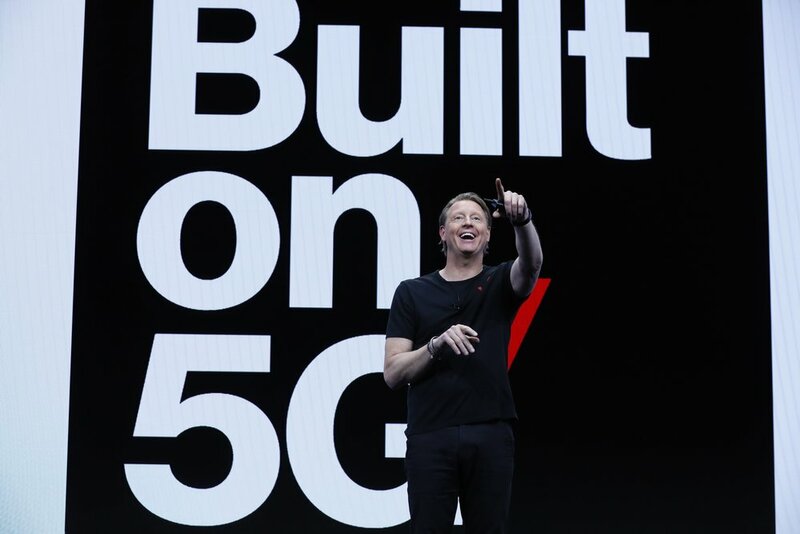 An explosion in accessibility tech to help people with their medical needs, another leap forward for artificial intelligence, a bunch of gorgeous and innovative TV form factors and one small step closer to the birth of 5G. 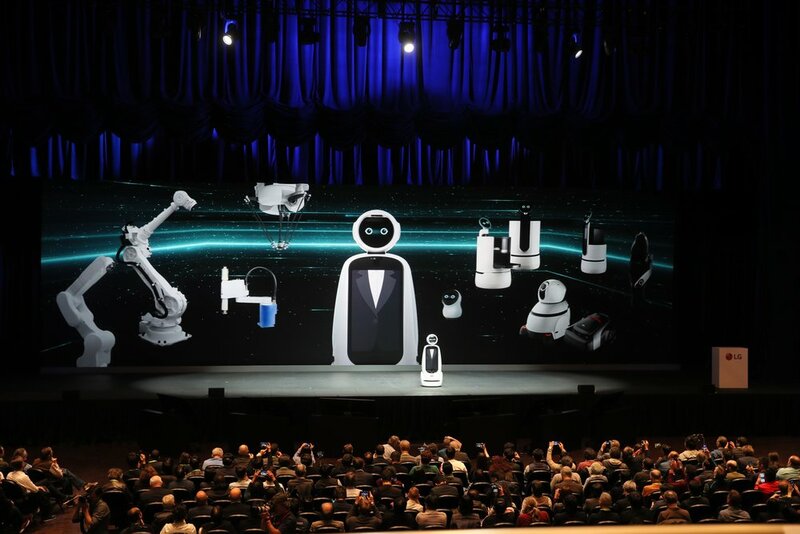 But, we’ve just seen these in isolation of the real world, presented to us amongst the glitz and glamour of a Las Vegas stage and crowds of tech-obsessed journalists. That means we don’t get to truly understand how the trends seen throughout the show (check those out in more detail) will impact the future. Luckily, I have an interesting way to find out, and his name is Steve Koenig - VP, Market Research at the Consumer Technology Association. He is responsible for working with a team to collect data and see where the geeky gadget world will go. In other words, peak futurism work. These questions refer a lot to an interview I did with him last year (plus, that one gives a broader insight into what he does, whereas we get into the nitty gritty here). So, if you haven’t read last year’s interview, go back and do so... Done that? Good! Now with that context, let’s proceed. He was a great sport answering some of the trickier questions I had for him this year, and his responses give a good frame for what you can expect not just over the next 12 months in tech, but the next 20 years. 1. So, it's been 12 months since we last did a tech trends interview and I think it'll be good to look back. Do you feel the trends from last year have gone the way you expected? One of the most exciting things about CES 2019 is we are finally seeing several trends we’ve been discussing and hearing about become reality. We’re seeing the first commercial deployments of 5G and self-driving vehicles. More, artificial intelligence (AI) is gathering momentum along with digital assistants like Google Assistant and Amazon Alexa. 2. Looking at what was announced throughout CES, I can see how your prediction of "5G by 2020" is an accurate one - certainly excited to see it become more of a thing over the next couple of years! My question on this relates to the regulation of what should be marketed as 5G. Without calling out any specific mobile network, do you think there should be some sort of consumer standards regulation on what should be labelled as "5G?" 5G networks will take several years to fully blossom. Today’s initial commercial deployments 5G are analogous to a child taking her first steps. In a few months, the child is running around the house. For 5G, in 2-3 years we will see fully formed 5G networks based on 5G NR (new radio) standards. It is always important for consumers to understand what they are getting. Rather than regulations, I’d advocate for consumers to ask questions of carriers to better understand their 5G initiatives and what that means in terms of services (e.g., when will I be able to buy a 5G handset and where will I be able to use it?) and, of course, cost. 3. Next up, you demonstrated how virtual reality and augmented reality march on going for different audiences - AR with a home in business and VR finding its place exciting consumers in their own homes. Do you feel there's a scenario where these could merge as was initially predicted a couple years ago? The common theme for this brace of experience technologies is finding new use cases. Both are branching out beyond their initial focus and we’re seeing some impactful results – from health care to retail and manufacturing. While AR adds a digital layer to our physical experience, VR is wholly immersive. Where these merge is in broad implementation across more and more industries and experiences. Life in the next decade will increasingly become ‘augmented’ in some way and we’ll use VR to enjoy experiences that are not convenient—or possible—in the real world. 4. With another year of CES, came a growing automotive footprint. Cars are not just an interesting side project of the show, it's now a huge part of it. How do you feel this shift in consumer behaviour from viewing cars as long-term automobile investments to consumer technology pieces will impact the industry? It's been said a car is the most expensive piece of technology kit you’ll ever buy. Cars are the greatest expression of a ‘mobile device’. However, much of their functionality pertains to safety. CES therefore has long been characterized as a show within a show (to your point). More, CES has from an automotive context become one of the top automotive events in the world. The car is another experience arena for today’s connected consumer. People expect in-car tech experiences to be congruent with the rest of their 21st century lifestyles. What I’m saying is being in a new vehicle is much like being at home when we think about the connectivity, power, communication and entertainment options; but we can go places. 5. Along the lines of artificial intelligence, one of the more humourous CES stories I saw from this year would be the self-driving Tesla running over a robot. But it does also raise an interesting issue about the need to get all artificially intelligent gadgets to talk to each other and avoid accidents like this in the future. With so many companies working on their own version of artificial intelligence, do you feel this is possible and how do you see it happening if so? We can expect less friction between systems in the coming years. We’ll have more machine-to-machine communication and more human-machine partnerships. In addition, where automated systems are concerned sensors, perception, communication, object detection, etc. will all improve. AI is already becoming an important cog in the global economy, but we’re also beginning to understand where AI and automation do not make sense. For some endeavors the human element is crucial. My favorite example is the self-driving pizza delivery vehicle by Ford and Domino’s Pizza. Tests of this device showed the technology worked but did not fit the business model. Customers did not want to come outside their home to collect their pizza. 6. Digital therapeutics were a big part of your tech trend predictions also for CES 2019 - technology being harnessed to do more than track steps or heart rates, but also become an intermediary between you and your consistently updated medical records. With this level of healthcare sophistication, do you feel we could face what I'll call a "WebMD problem?" Lot's of people mis-diagnosing themselves rather than getting a professional opinion? Digital Heath innovation is one of the most profound advances today for humankind. We’re seeing greater democratization of diagnostic systems for identifying or monitoring conditions. Early detection of disease is crucial in many instances. New easy-to use diagnostic systems can help consumers know sooner they need to see a physician. These digital diagnostic systems also can save massive time and money for patients who need to monitor their condition daily or even more frequently. Most people value independence and these technologies are giving patients just that. Digital therapeutics are designed to principally treat chronic disease by adding a bit technology to existing treatment protocols and methods. This can help ensure adherence to treatment, proper dosing of medicines and facilitate better (and nearly effortless) recordkeeping that helps physicians better understand how treatments are working. Taken together, innovations in digital health not only improves quality of care (and life) it reduces costs in money and time for consumers, doctors and governments (thinking about NHS). 7. As we move into a progressively data-driven age of technology, the real concern felt by most is privacy and security. Do you believe the companies that hold all this information can be trusted with this wealth of data, given their track record? Or do you feel that maybe something similar to the EU's GDPR regulations need to become a thing across the globe? The dialogue over online privacy and data security is a symptom of the move from the connected era of technology into the data era of consumer tech. Interestingly, different regions around the world are treating this issue very differently. The EU has GDPR. Meanwhile, in China (PRC) one has no expectation of privacy – the government controls just about all personal data. The question is: while GDPR puts up guardrails around personal data, does that foster ostensible barriers to innovation? And does China’s ‘no privacy’ policies give it a competitive advantage? I think it comes down to what trade-offs we’re willing to make and I think that choice is a personal one and not for governments. Our research in the USA has shown that if there is some benefit to the consumer, they are more willing to give up personal data (e.g., location). I do think some basic rules are appropriate, but in a free market system I would advocate for better transparency by commercial entities and more options for consumers to control their own ‘privacy’ destiny. In addition, I think the definition of personal data needs to evolve as we move deeper into the data age. Legislation (like GDPR) will likely need to be adjusted soon to accommodate new innovations (like robotaxis) and maintain the competitiveness of the EU. Most of all, I believe consumers themselves will become more comfortable with exchanging personal data in order to get certain benefits. The key to all of this is better data security and encryption techniques to keep data safe and useful only to authorized parties. Expect to see massive innovation in data encryption over the next ten years. 8. Now, to talk about this year's show. What's been your favourite tech to see on the show floor? This overwhelming support for digital assistants was incredible to see. One day on the show floor of CES and you can see how these assistants will soon become omnipresent in our lives. Whatever we’re doing or no matter where we are a digital assistant will have our back. For me weird = super cool. Watergen is device that makes clean drinking water out of thin air. It’s a sustainable tech device and one of CTA’s Best of Innovations award winners. It’s weird (super cool) because the device works like magic and brings to mind 21st century alchemy – water from air. 10. Finally, you told us your vision for the next 20 years, which featured the likes of advanced biometrics, completely digital payment systems, robotics and self driving cars. So let's focus on some other areas alongside the trends for 2019 and other items we see at the show. What do you see in the future of mobile data connectivity, augmented & virtual realities, digital therapeutics and TVs over the next 20 years? It's fun to imagine the new and disruptive innovations 5G will make possible – changing the way we live, work and play. I think AR will enable education and convenience—just as two examples—in ways previously unimagined. VR will create a whole new layer of virtual experiences we will add to our real-world lives. Technology will help us be healthier and live longer. AI and automated systems will free humans from dull or unsafe activities. Digital Assistants will become personalized (not just Alexa for everyone) and they will become life-long virtual companions. Voice will become the ‘go-to’ user interface unless we want to keep things private.